THE Great Barrier Reef could be hit with catastrophic bleaching every two years unless more is done to limit climate change. 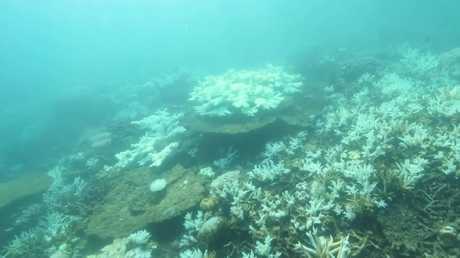 A new report from the Climate Council reveals coral bleaching is now happening on average every six years, compared to once every 27 years back in the 1980s. Based on current rising greenhouse gas levels, bleaching will happen every two years by 2034. In the report released today Lethal Consequences: Climate Change Impacts on the Great Barrier Reef, the Climate Council says the current rate of bleaching is not sustainable because it will continuously set back recovery of the reef. At the same time, the reef will also need to deal with other threats caused by climate change - such as ocean acidification and tropical cyclones. 2016 to 14 per cent in 2018, largely due to the 2017 bleaching event. It said the damage to the reef may be irreversible and it has already resulted in a drop in the diversity of fish species and in the number of juvenile fish settling on the reef. Underwater vision of bleaching on the Great Barrier Reef, off Port Douglas taken on June 28, 2018. Source: Climate Council. The damage could be irreversible. Source: Climate Council. "Intensifying marine heatwaves around the world are now occurring more often, lasting longer and are more intense than ever before," Climate Councillor and ecologist Professor Lesley Hughes said. Professor Hughes said the bleaching events in 2016 and 2017 resulted in mass coral mortality, with the 2016 bleaching event at least 175 times more likely to occur due to intensifying climate change. "Unless drastic action is taken, extreme coral bleaching will be the new normal by the 2030s. We will see extreme ocean temperatures, similar to those that led to these bleaching events possibly occurring every two years, which will effectively sign the death certificate for the world's largest natural living wonder that is the Great Barrier Reef," she said. The report makes clear that doing things like improving water quality are not the solution. It says that unless "deep cuts in greenhouse gas emissions are made as a matter of urgency - the reef stands little chance no matter what measures are taken to enhance its resilience". In particular, global warming must be limited to 1.5 degrees above pre-industrial levels. "A 2C rise in average global temperature will almost certainly mean the collapse of warm water tropical reefs around the world," the report states. "The decisions and actions that we take today to reduce greenhouse pollution will have a critical effect on the long-term survival of the iconic Great Barrier Reef." 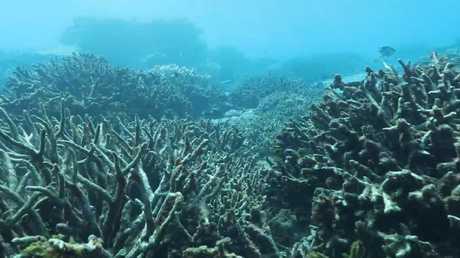 Climate Council acting chief executive officer Dr Martin Rice said the future of coral reefs around the world depended on nations including Australia doing their part to tackle climate change. "This report shows that the Great Barrier Reef may never fully recover or return to its pre-bleaching state, which should serve as a serious warning signal for governments around the world to act now," he said. "We all have a part to play in cutting greenhouse gas pollution levels in order to protect these natural wonders. The only thing standing in the way is political will." The report comes as former prime minister Tony Abbott calls for Australia to back away from its internationally binding climate targets. In a speech to the Australian Environment Foundation on Tuesday night, Mr Abbott said he would never have signed on to the Paris Agreement in 2015 if the United States did not also agree - the country has now walked away from the agreement under the new leadership of President Donald Trump. But Mr Abbott has found little support for pulling out of the agreement. Deputy leader Julie Bishop batted down Mr Abbott's suggestion Australia was never meant to be bound by the target to reduce emissions by 26 to 28 per cent reduction on 2005 levels. Ms Bishop, who was also Mr Abbott's deputy, said Australia intended to be accountable for the targets, which were a commitment and not an aspiration. She said the targets were agreed by the prime minister, the cabinet and the party room. 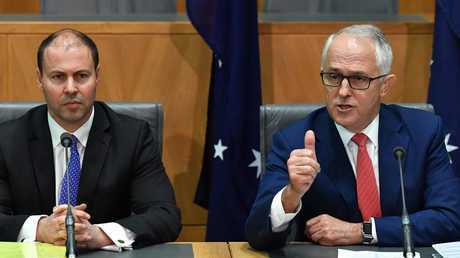 But the Turnbull Government is still divided on its National Energy Guarantee (NEG) proposal, which would legislate the commitment and help Australia achieve its targets. Mr Abbott's comments have been stirring discontent about the guarantee and he claims there's "no plausible evidence" the government's energy policy can address reliability, price and emissions reductions altogether. 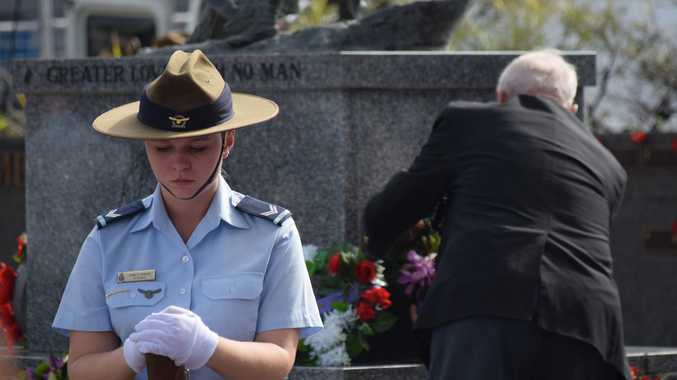 However, Mr Turnbull said there was "almost universal support across the country" for the plan, including from the minerals industry, manufacturers and unions. Opposition to the NGE exists not just in the Liberals but also within the Nationals. Backbencher Michelle Landry says more negotiation is needed and coal must be a part of the guarantee but Nationals minister David Littleproud told ABC he was comfortable with the NEG. • About 30 per cent of corals on the Great Barrier Reef died as a result of the 2016 event. • 75 per cent of coral mortality occurred in the northern section of the Great Barrier Reef, where 93 per cent of individual reefs between Port Douglas and the Torres Strait were affected. • Fast-growing corals such as staghorns and tabular species have suffered a "catastrophic die-off". • Coral mortality has reduced the availability of habitat for fish, leading to a decline in reef fish diversity. Juvenile fish at Lizard Island, for example, have suffered a 40 per cent decrease in settlement. • Global sea surface temperatures have increased by over 0.2C from 1992 to 2010, increasing the odds of more frequent and prolonged marine heatwaves. • The return period for global bleaching events has decreased from 27 years in the 1980s to only 5.9 years now. • The likelihood that the Great Barrier Reef will ever fully recover or return to their pre-bleaching state is low. • There is little evidence that improving water quality can sufficiently reduce susceptibility of corals to bleaching from marine heatwaves.